As the nation concludes its transition to digital television today, the Commerce Department's National Telecommunications and Information Administration will continue providing consumer assistance after the June 12 transition. 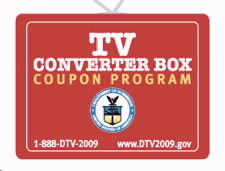 TV converter box coupons will be available to consumers who apply until July 31, while supplies last. In addition, the FCC is offering assistance over the phone and free in-home installation for consumers in most areas.